What began as a safe and fun activity to spread awareness about social causes with the famous ALS Ice Bucket Challenge, has gradually transformed into a matter of life and death. Various ‘games’ and seemingly harmless candy-eating challenges continue to put lives at risk. 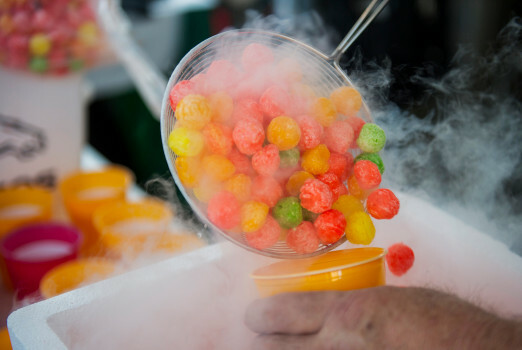 What could possibly go wrong after having candies that taste like cereals dipped in liquid nitrogen? These colourful icy candies are attracting many around the world, especially teenagers and young adults, who are taking the ‘Dragon’s Breath Challenge’ that is currently taking over social media. 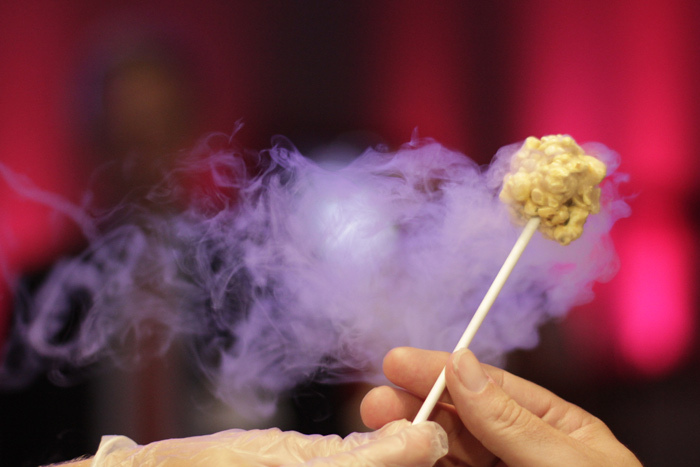 While taking the challenge, people consume candies dipped in liquid nitrogen, after which their breath turns foggy. When they exhale, the steam comes out from their nose and mouth making it look like they have dragon’s breath. While this may seem to be a fun and harmless activity, it is as dangerous as it gets. 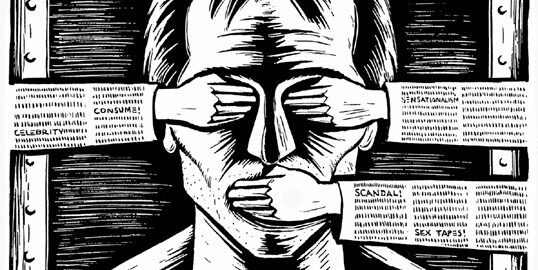 So much so, reports of people experiencing pain, swelling and suffocation are making headlines already. Recently, a 30-year-old in Delhi gulped down a cocktail that had icy smoke coming out of it, unaware that the drink was mixed with liquid nitrogen and it had to be consumed after the smoke dissipates. What followed was extreme pain, abdominal swelling and breathlessness. The man was rushed to a hospital in Gurgaon (Delhi NCR) where the doctors found a huge hole in his stomach. One of the reasons this challenge is spreading in India is the lack of awareness both amongst parents and children. Candies and drinks with liquid nitrogen are being sold at various kiosks and cafes inside malls across the country and people are not hesitating to try it out. The United States of America’s health department, where casualties associated with this challenge are gradually increasing, has issued a warning saying, liquid nitrogen can melt mouth and internal organs and if inhaled, can cause asphyxiation. However, this is not where it began. The ALS Ice Bucket Challenge took over social media in 2014. The challenge involved dumping of a bucket of ice and water over a person’s head to spread awareness about the disease of Amyotrophic Lateral Sclerosis (ALS). Though this challenge was an activity for social good, a chain of social media challenges that followed it were not as thoughtful. Challenges like The Blue Whale, Tide Pods and the recent Keke Challenge have been putting people’s lives in danger. Also known as the ‘In My Feelings Challenge’, the Keke Challenge began as a dance challenge wherein people get out of slow moving cars and dance to the Canadian singer Drake’s song ‘In My Feelings’. As more and more people are now taking the challenge around the world, the number of road accidents and fatalities are increasing. Police officials in Indian states of Mumbai, Delhi, Uttar Pradesh, Hyderabad and others issued warnings against the challenge. People, however, are continuing to try it. 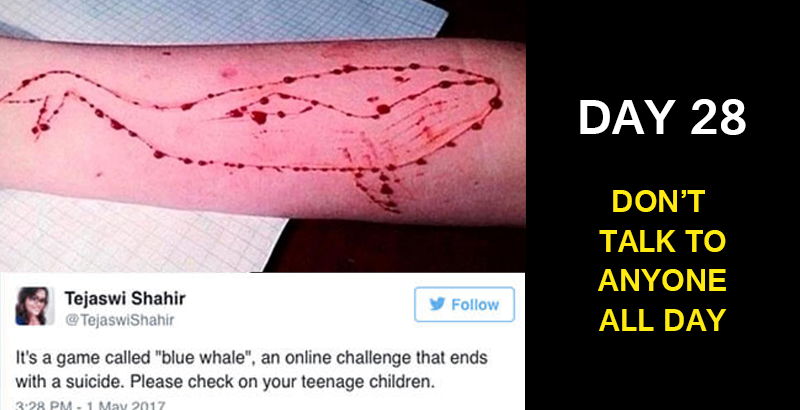 Similarly not too long ago, teenagers and young adults were addicted to the Blue Whale Challenge. While playing this ‘game’, the so-called challenges started with small dares involving self-harm and slowly building their way towards asking people to commit suicide in order to successfully finish and win the game. Signing up to play the game required providing personal information and credentials and so, many hesitated to even start, while others quit after tasks became intense. However, surprisingly, many around the world committed suicide to ‘win’ the ‘game’.